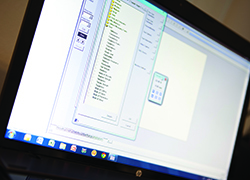 The NEXYGEN DF software is an easy-to-use Windows based data analysis package for use with the digital force gauges and torque gauges. Your test results are presented in a spreadsheet format so you can analyse data and perform common mathematical and statistical calculations. NEXYGEN DF force measuring software expands the functionality of your Chatillon digital force gauge. This easy-to-use Windows-based package interfaces directly to your digital force gauge. You can download peak load results from the gauge and display your results in tabular and graphical formats. Graphical results include markers denoting exact point positions. Results can be colour coded for immediate pass/fail recognition. With this force measuring software you can easily specify units of measure, fonts, titles and force measurement resolution. The software provides basic force measurement tensile and compression test formats, including pull to break, pull to limit, compress to rupture and compress to limit. The software also provides torque to break and torque to limit analysis when connected to a Chatillon torque gauge. Results are presented in a spreadsheet format so you can analyse and manipulate data and perform common mathematical and statistical calculations. The software is easy to set up and features intelligent prompts, menus, combo boxes and other methods to get you up and running quickly and efficiently with minimal training. Navigation is simple, using “drag & drop” and cut, copy and paste techniques. Data is easily exported to Microsoft Word, Excel, Access, Powerpoint or Outlook.